Plant-for-the-Planet Global Boards 2013/14 - Apply now ! Do you want to deepen your involvement with Plant-for-the-Planet? Do you want to take extensive action to fight the climate crisis? Do you want to inspire children worldwide and represent their interests? You have until 22 March 2013 to apply to sit on one of the Global Boards. The candidates be presented on our website, if possible with a video message. 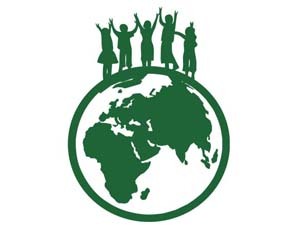 Then, every Plant-for-the-Planet member with voting rights has until 19 April 2013 to register their online votes for each of the Global Boards. From these elected board members, the Global Presidents and Vice-Global Presidents will be elected. They are voted for in a second round of voting from 20-27 April 2013. The new Presidents and Vice-Presidents will be presented at the Plant-for-the-Planet Annual Meeting in Munich. The handover from the old Global Boards to the new takes place in June, and the new Global Board takes office on 1 July 2013. Apply here online as candidate for the Global Boards or send us an email with your name and date of birth: info@plant-for-the-planet.org. At a later date we will ask you to present yourself in more detail and tell the other members your motivation and goals. More information you can find at http://www.plant-for-the-planet.org/.